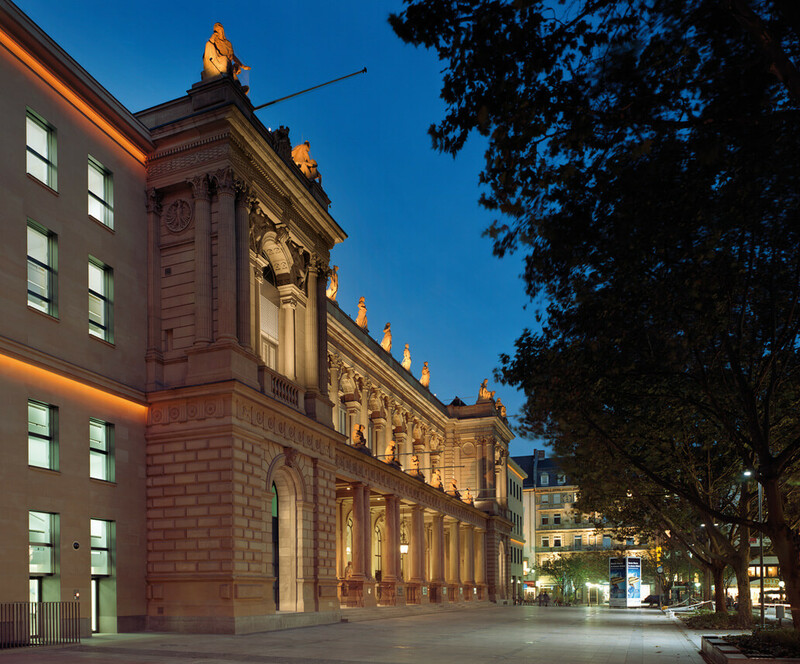 The stock exchange, constructed from 1874-79 by the Frankfurt-based architects Heinrich Burnitz and Oskar Sommer, is one of the most important surviving structures of the Wilhelmine Period in Frankfurt am Main. 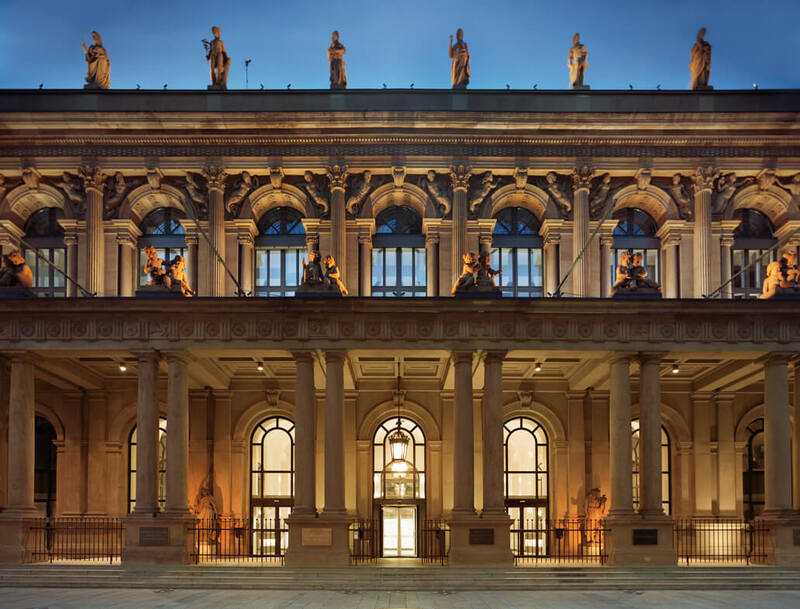 The representative building, richly adorned with sculptures, features a yellow-sandstone façade with corner avant-corps and a pillared porch. The focus of the lighting concept is on the accentuation of the rich decorative elements as well as on the amplification of rhythm and symmetry of the architecture. The pervasive warm tone of light selected reflects of the exterior color as well as the historical context of the structure.